Since my post on “How to throw a bridal shower on a budget” was so widely read, I decided I would show y’all how I did the same thing with my sister’s baby shower. 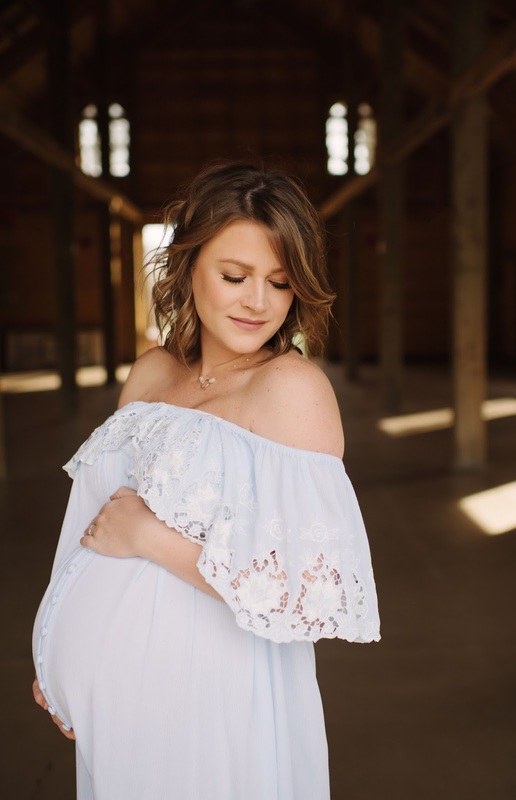 Every mama to be deserves a special party to feel pampered, but an extravagant party just doesn’t fit into every budget (anyone with me on that)? I knew that I wanted the party to be special and fun for my sister, so keep reading to see how I pulled it all together! Keep it simple! I created free invitations with E-vite. E-vite has a ton of really cute free premade designs for baby showers that you can choose from. You just input all of the party information in on the E-vite website and it will generate the invitation for you. Then all you will need is a little help from your mama to be on the invite list and email addresses for everyone invited. Once the invitations are sent, the E-vite website will keep up with the RSVP’s for you, and you can even see who has and hasn’t read your email and who has written notes to the attendees. At first, I tried to find a cheap room in a restaurant but that didn’t end up working out so well. Beware of minimums for food and beverages! All of the restaurants that I contacted wanted at least $500 just to rent the room, and then had a really high food and beverage minimum to meet. This is when I just decided to have it at her house. This was a huge part of cost savings! This also gives you freedom to decorate how you want and provide the food and beverages that your mama to be prefers! While we decorated she went out and got her hair done for the party. This was great because it still kept her decorations a surprise! If you don’t have a house or space big enough, you could always ask other family members and friends if they would mind letting you use theirs. Teaming up with friends or family to host the shower splits up not only the cost, but the workload too! Doing everything by yourself could be really hard and could cause you not to be able to enjoy the party. My mom and my sister’s sister-n-law helped me, which was super helpful! Most times, people want to help and be included in these types of parties for their friends or family, so don’t be afraid to ask. Instead of buying things for the party such as serving platters, bowls, table linens or glassware, why not see if your friends or family will let you borrow some of theirs?! Since I threw my sister’s bridal party, I had some party supplies left over from that such as platters, cups, forks, knives, etc. I was able to just reuse them. This is also where friends and family can be super helpful! Don’t be afraid to ask and see if they have anything you can borrow. Chances are they have thrown some type of party before or have a lot of serving platters and things from weddings, and have extra or leftovers. In my case, I was able to borrow the welcome sign, serving ware & balloons. Hey it’s not a huge cost savings, but definitely saved me from having to buy them! Everyone loves playing shower games, but there’s no reason to spend a ton of money! Search for free printables online because there are a TON especially on Pinterest like banners, cake toppers, party signs, etc. They also have some at places like Party City. We played the Price is Right, which I ordered the cards off Amazon for about $12. This game was so much fun! I did have to purchase all of the items for the game at Target & Walmart, but these were are all things that the mama to be could keep and use for the baby. The second game we played was measuring the mama’s belly. I found the printable off pinterest and already had the measuring string, then simply cut out tiny pieces of paper for guest to write their name and guesses in inches. Then I had small prizes for the winners of both – a $15 Starbucks gift card and a nice candle for the other! Stick with a one signature drink. You can’t go wrong with a mimosa bar - I called it our Mom-osa bar (of course, I found that idea off Pinterest)! One of the other hosts bought a case of Champagne from Costco, which is cheaper than buying single bottles. Buy a couple different flavors of orange juice along with some fruit and VOILA! And of course have water or sparkling water for those who don’t drink. We also bought the mamas to be sparkling grape juice so they too could enjoy a mocktail. This can be one of your biggest expenses when it comes to any party, especially with a larger group. I thought about making all of the food like I did last time, but one of the other host found a great price on catering which ended up being the best option and saved us a lot of time and preparation. We ended up having the shower catered by a Mexican restaurant, which was great! They price was awesome and we ended up with so much food like a taco bar, guacamole and queso, salad, and chips & dip. All we had to do was pick it up and set it out, which was super easy. They supplied all of the serving platters, utensils and even gave us warmers to keep everything fresh and hot. I used Amazon and Party City for all of the decorations. You don’t have to go overboard on décor to make it look super cute. There are a lot of simple instructions on Pinterest on how to make a diaper cake, and mainly all you have to buy is the diapers which the mama to be can always use! It’s a gift and décor in one ha! The onesie banner that we put together was also very easy and inexpensive. All you need is string and clothes pins. The onesie can also be a gift to her or you can just borrow some of the ones that she already has like I did. All the confetti, photo booth sticks, banners, balloons and desserts toppers came in party kit all together for super cheap. I order the silver OH BOY balloon from Amazon also. I ended up only using the boy part of the balloon because I popped the OH on accident, haha! I decided to do a guest book with cute metallic pens & let everyone write a little note to her or the baby. I did this so my sister would have memories of the party to look back on and even show the baby when he's older. Sounds cheesy but it turned out pretty cool. We used a instant camera so everyone who signed it would take picture of themselves with the photo booth sticks and put it next to their sweet little note. Check out the pictures below to see how it turned out! Throwing a shower doesn’t have to be stressful or super expensive. There are so many creative ways to do it and I hope this helped you get some good tips and ideas! 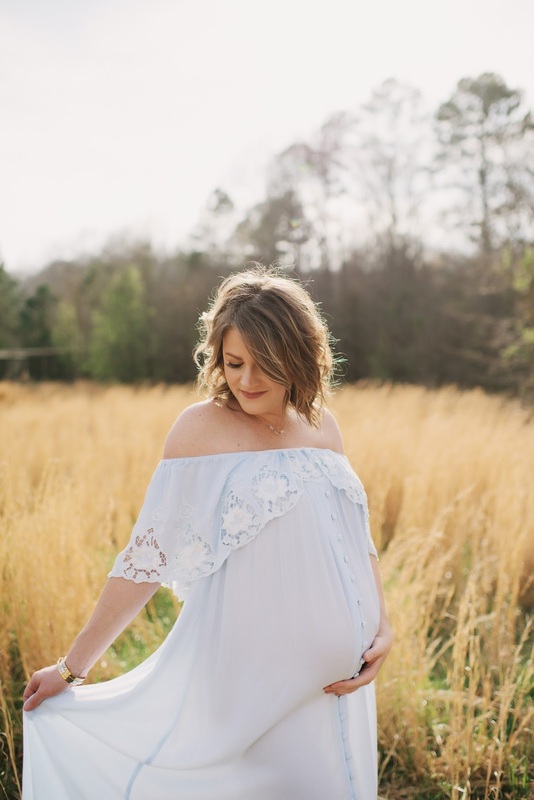 and of course I had to share these maternity pictures of my sister because she looks SO gorgeous!